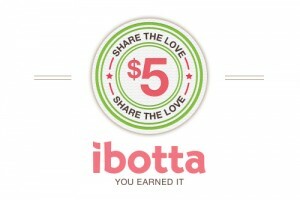 Home » Free $5 Credit for New Ibotta App Users! The app, Ibotta, is celebrating the launch of a new version of our app that doubles the number of retailers where Ibotta users can make money buying everyday products, and also introduces a $5 credit for new Ibotta users! 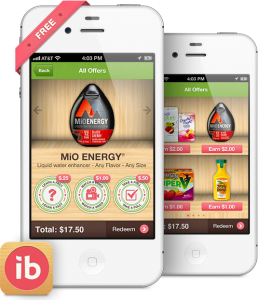 Ibotta is a smartphone app that pays consumers up to $40 every time they shop at 8 major retailers like Walmart, Target, Safeway, Kroger, Walgreens, King Soopers, Ralphs and Duane Reade. For each new user who uses the app and successfully redeems one Ibotta product offer, they will instantly get $5 on their Ibotta account which can then be cashed out via PayPal, United Way, or any school in America. The $5 cash credit is limited time only. NEW Retailers – Ibotta now works in every Walmat, Target, Safeway, Kroger, King Soopers Walgreens, Ralphs and Duane Reade.